Through the work of the South Shore Health Systems PR team, Dr. Mike Marciello appeared on the Phyllis show, which is a local show on the South Shore. 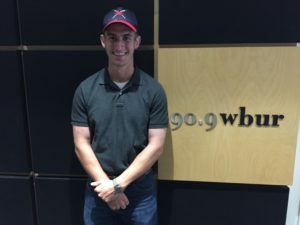 Ahead of the Renegades’ benefit game against the Tewksbury Firefighters Local 1647, Joe Quintanilla and the Renegades were featured in an article on the website ‘Your Tewksbury Today’. The article talked about Joe and how he became involved with the Renegades. It also has a brief history of the Renegades and an overview of beepball rules. A PDF of the article is available as well. 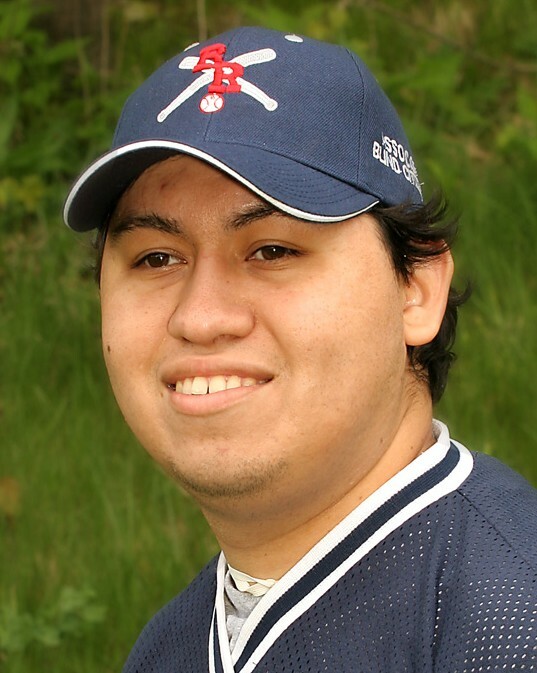 Leading up to the Lions charity game, Joe Quintanilla and the Renegades were featured in a Lowell Sun article. The article talked about Joe and how he became involved with the Renegades. It also has information about Beepball itself and the Lions fundraiser in July, featuring a game with the Tewksbury Firefighters. There is also a PDF of the article as well. 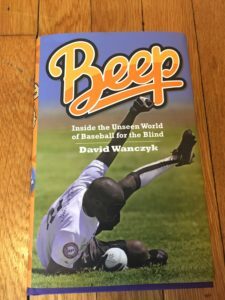 To kick of baseball season, the first ever book about beep baseball has been published and is called Beep Inside the Unseen World of Baseball for the Blind. Author David Wanczyk was interviewed for nearly an hour about the sport, the rules, stories about the athletes and coaches, the history of the game, the ball and much more. During his time writing this book, he spent a lot of time with the Renegades and we are one of the four teams that are highlighted in this book that spanned the 2012 through 2015 seasons. In tis interview, joe Mccormick’s story is mentioned. For more information, see our post about the book and interview here. 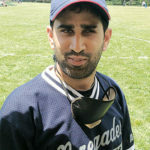 The Renegades were featured in an article about the Beast of the East Championship. The articles ran in the north and west editions of the Sunday Globe. The Renegades were features in an article in the Watertown Tab this past week in the lead up to the Beast of the East tournament in Woburn. They were then featured again after they won the Beast of the East tournament. This second article also ran on the Waltham Wicked Local site. 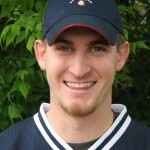 Renegades Coach Ben Coiner was recently featured in The Brigham and Women’s Hospital Bulletin. In the article, Ben talks about his love for volunteering outside of work. 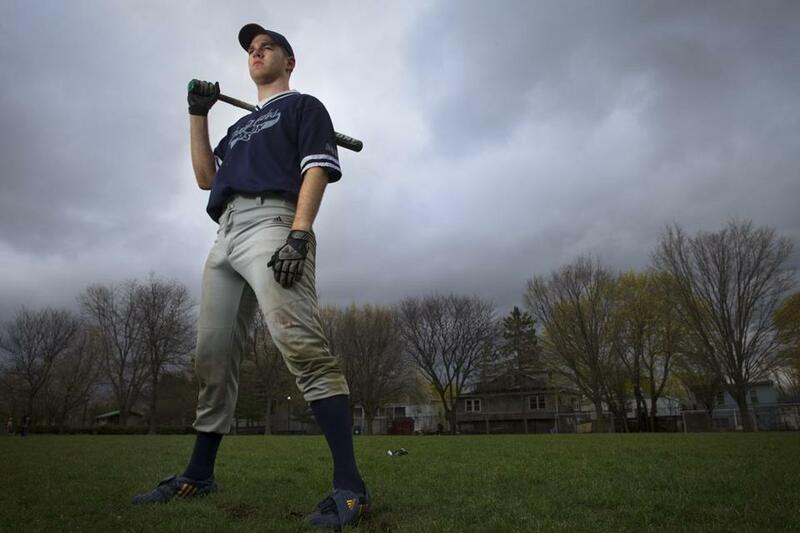 His volunteer work coaching with the Renegades is prominently featured in the article. 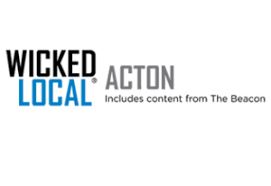 Mellisa Hoyt was recently featured in an article on the Mito Action website. 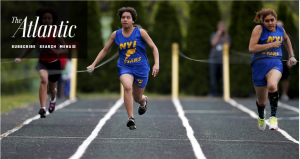 The article talks about Mellisa and her fight with mitochondrial disease. It also talks about beep baseball, the Renegades and how Mellisa, as the only female member of the team, is an inspiration. Mellisa recently threw out the first pitch at a Red Sox game, while the rest of the team stood on the filed with her. The full article can be read on the mitoaction.org website. We were interviewed as part of an article which ran in the quarterly magazine published by the Perkins School for the Blind. 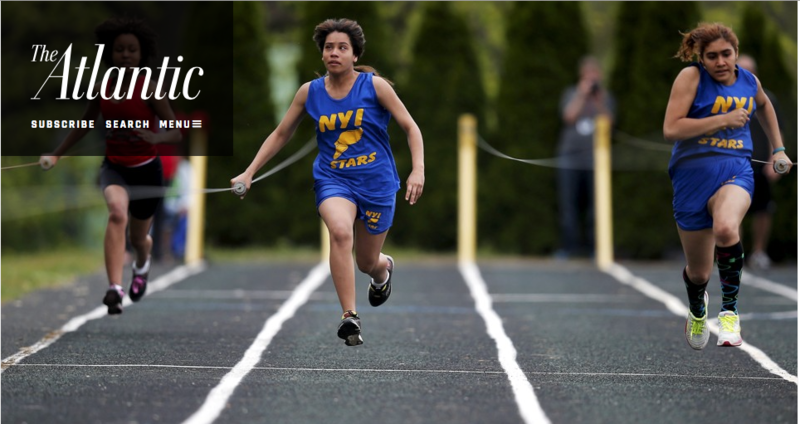 The article was about blind athletes who accel in competitive sports. The article, with a section about our team, can be read on the Perkins site. 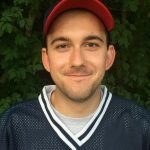 Coach Rob Weissman was recently interviewed by IBM about the work he does coaching, fundraising and managing the Renegades. The interview was posted in an article internal to IBM in November, 2016. The contents of the article can be found in the following PDF. The Boston Renegades made the NBBA 2016 Championship game in Ames, Iowa. The game was streamed live at the time. 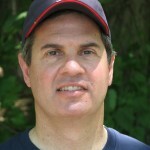 After the series, Graham Mathenia compiled the video and produced a high quality video for the league. The video includes play by play and color commentary provided by Kevin Sibson and Dave Benney. It was a huge moment in NBBA history as these two teams had never played in a World Series. History was written on this day! Aqil joins World This morning in studio to talk about his journey, his life, his interests and beep baseball. Our own Aqil Sajjad was featured in an article on dawn.com. Dawn.com is an English language news portal, part of the Dawn media group in Pakistan. In the article, Aqil discusses disabilities in the context of the US and Pakistan, his move the the US and attaining his PHD in particle physical from Harvard University. He also touches on beepball as well. The full article can be read on the dawn.com site. 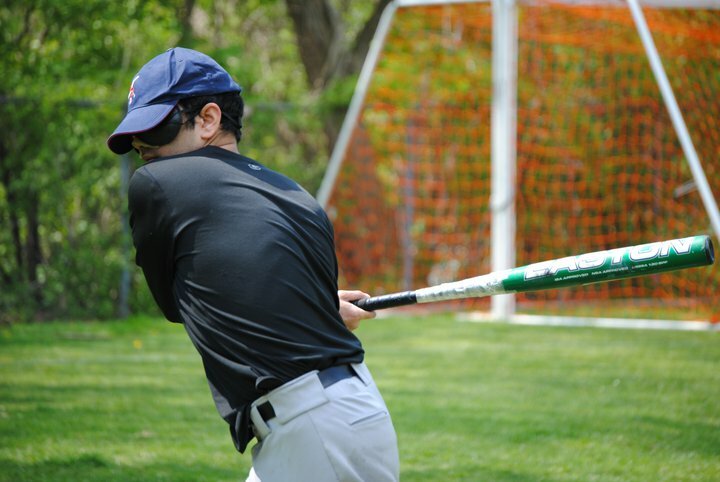 Ubersense is a Boston based company that has an App that the Renegades use to help improve their hitting. The Renegades have gotten good use out of it and in 2013 were one of the top users of the App in its user base. On August 4, Ubersense created a few Videos featuring the Renegades. They did an amazing job. Below are links to check out. The article features 3rd year player, Joe McCormick and shows you how he has overcome adversity to recently graduate Harvard University. It also takes a look inside the Renegades World Series in 2013, which Dave was granted all access to the team’s inner workings for his book. 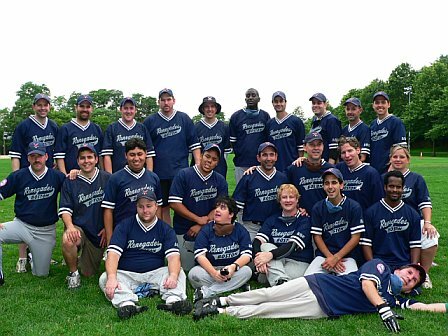 The Boston Renegades appeared on Chronicle on October 19, 2012 as the theme of the show was called “Abled” and featured people with a disability finding a way to get things done. Our very own Larry Haile and Guy Zuccarello made an appearance on the show. The clip shows the team playing ball but focuses on life outside of the game for two of our abled players as we get a glimpse inside the lives of these two fascinating Renegade characters. 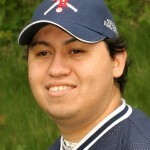 In July, 2011 the Long Island Bombers traveled to Sudbury Mass to play a double header against the Boston Renegades. The two teams played amazing games on both sides of the ball (offense and defense). Each game provided great plays and lots of drama as each game was decided by a run and both games went into extra innings. These two teams played a total of 15 innings in two games. Renegade volunteer, Bill Le captured the moments and the last two hitters of each game are brought to you in this short film which was produced by 62 Renegade Films. Turn up those speakers and we hope you enjoy the short film. Come out and see us play…its an amazing sport with a great group of people! 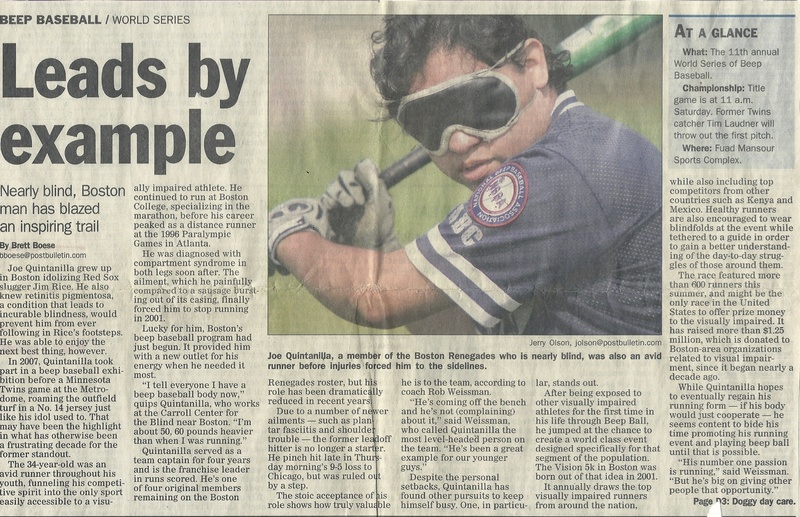 While at the 2010 World Series in Minnesota, the Rochester Post Bulletin ran a few articles in the sports page about the athletes at the Beep Baseball World Series. One of those articles was about our very own Joe Quintanilla. The article was titled “Leads by Example” and was subtitled “Nearly blind, Boston man has blazed an inspiring trail”. 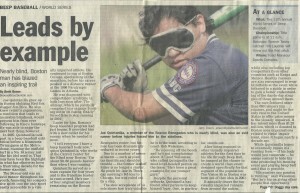 The article is no longer available on line but we have a picture of the article that appeared in print with a full color picture of Joe in his batting stance and blind fold on. We apologize for not having the text in a format for screen readers. Click the photo to read the article. 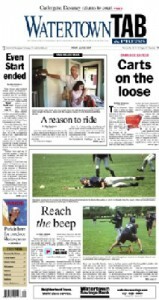 Check out the latest article on the Boston Renegades from the MetroWest Daily News from July 25, 2010. Here you can see some great photos and they created a good youtube video that you can see to the right that features JJ Ward. 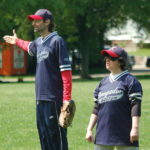 JJ was instrumental in helping the Renegades find Licoln Sudbury High school as the home for the 2010 Blind Citizens Beep Baseball Championship. Click this link to read the article. 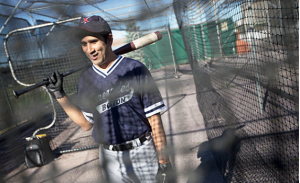 What is in a Beep Baseball? The Boston Renegades appeared on the Comcast Network on a running loop in October and November. This piece was shot by a new friend to the Boston Renegades, Arlen Showstack. The video was shot during the 2010 Blind Citizens Beep Baseball Championship in July. This six minute video features JJ Ward, John Oliveira, Aaron Proctor and Rob Weissman. The video shows many of the Renegades players and coaches in action and talks about the team, the sport and the players. Other Renegades in this video include: Nick Bebas, Ron Cochran, Larry Haile, Joey Buizon, Justen Cantan, Darren Black, Joe Quintanilla, Dino Vasile, Guy Zuccarello, Matt Nippins, Shayne Cantan and Joe O’Neill. 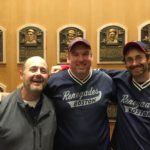 The Boston Neighborhood Network spent some time with the Renegades in July and produced a piece about the Renegades that explains the game of Beepball and gives you some insight why some of the volunteers participate and why the players play. In this piece you will get to listen to coaches Nick Bebas and Jason Lenicheck as well as players Darren Black, Sengil Inkiala and Melissa Hoyt. 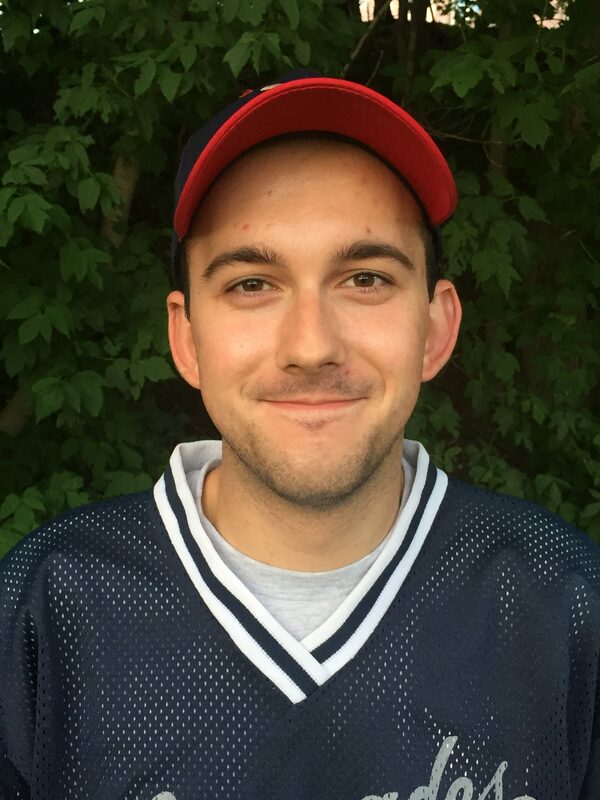 Also see video of the following Renegades playing the game: Dan Cotter, Dino Vasile, Ron Cochran, JJ Ward, Rob Weissman, Justen Cantan, Bryan Grillo, Matt Nippins, Shayne Cantan, Larry Haile, Joey Buizon, Guy Zuccarello and Joey Duggan. 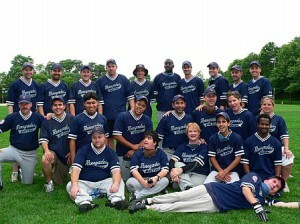 In June of 2008 (and replayed in September of 2008) the Boston Renegades appeared on Chronicle. Chronicle did a piece about giving back to the community. 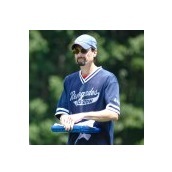 The Boston Renegades success is partly a result of their dedicated volunteer coaching staff. The Renegades are unique in that as of 2008, none of the 13 volunteer coaches are related to any of the players. This makes for a unique organization in the NBBA. 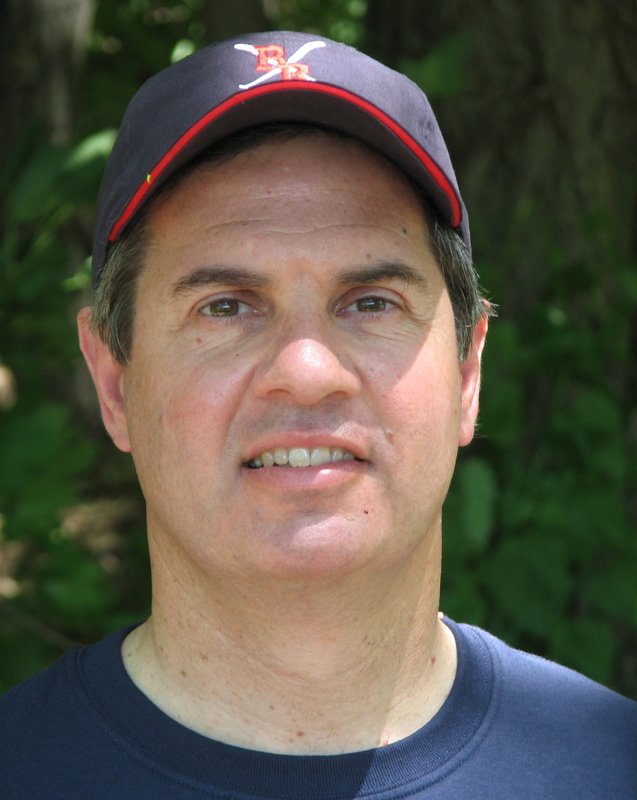 In November 2006, Steve Guerra (The Beep Baseball Guy) interviewed Head Coach Rob Weissman on the Beep Baseball Pod cast. The interview covers Weissman’s background, how the Renegades are operated, What the team is working on for the upcoming season and more. In the Fall of 2006, Red Sox Stories came to an event to film a piece on the Boston Renegades. This aired on UPN 38 in the Boston area. The piece explained the game of beepball in detail and how the team plays the game. The second portion of the video featured the anchor of the show actually strapping on the blindfold and trying to hit, run and field. 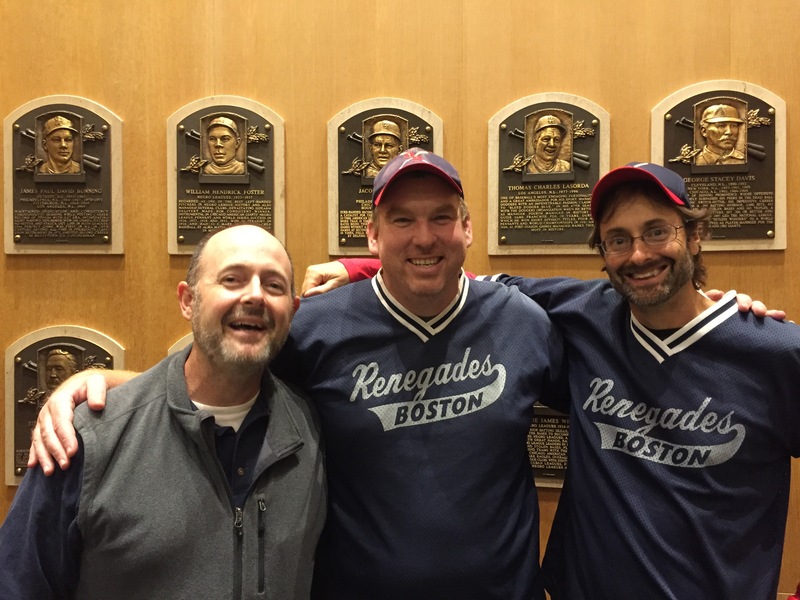 The Renegades thank Red Sox Stories for coming out and helping spread the word about the team and the sport! 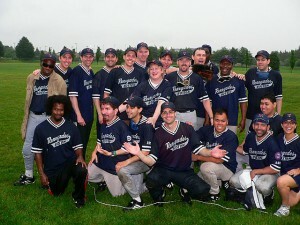 In August of 2006, The Renegades visited Fenway Park as guest of the Red Sox. The Renegades were part of Disability Awareness Day. As part of the pregame festivities the team lined up on the first base line during the national anthem and was introduced to the crowd. Before this festivity, the team got an up close look of the Green Monster. A camera Man from the centerfield bleachers caught some of their visit on video without any audio. 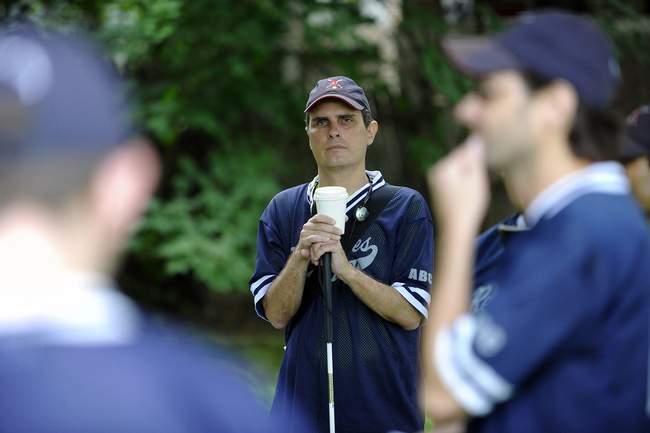 In 2004, A crew subcontracted from IBM came out to take a look at the volunteer work that Coach Rob Weissman does. This clip was a scaled down version of the film designed for the Boston Renegades. If you are interested in the value of volunteering, take a look at this video.